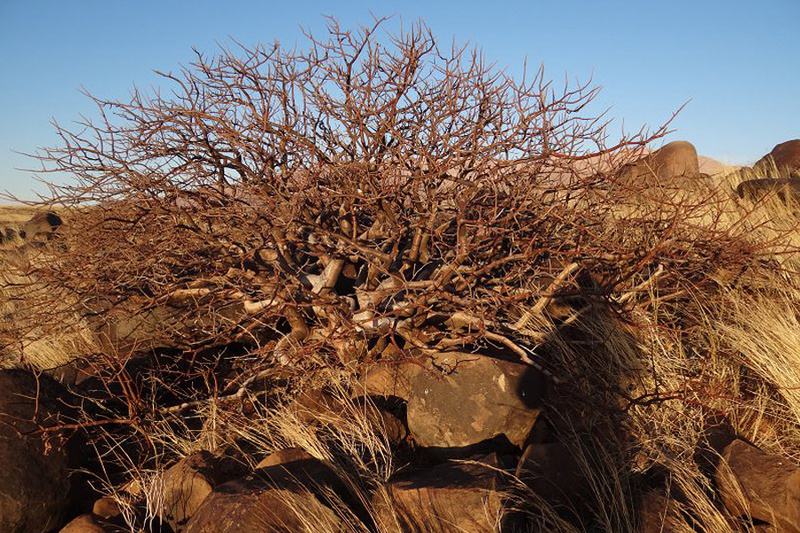 Commiphora wildii or ‘Namibian Myrrh’ has been used for many years by OvaHimba women as their traditional perfume. 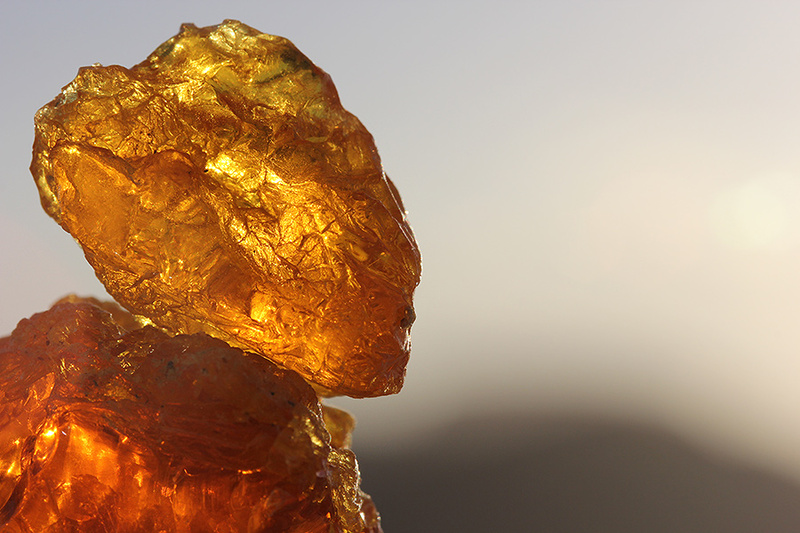 This near endemic plant’s resin is collected during the hot, dry months when the resin is naturally exuded. The resin is collected at buying points in the conservancies, packed into containers and transported to the Opuwo Processing Facility. The resin broken into small pieces and steam distilled. 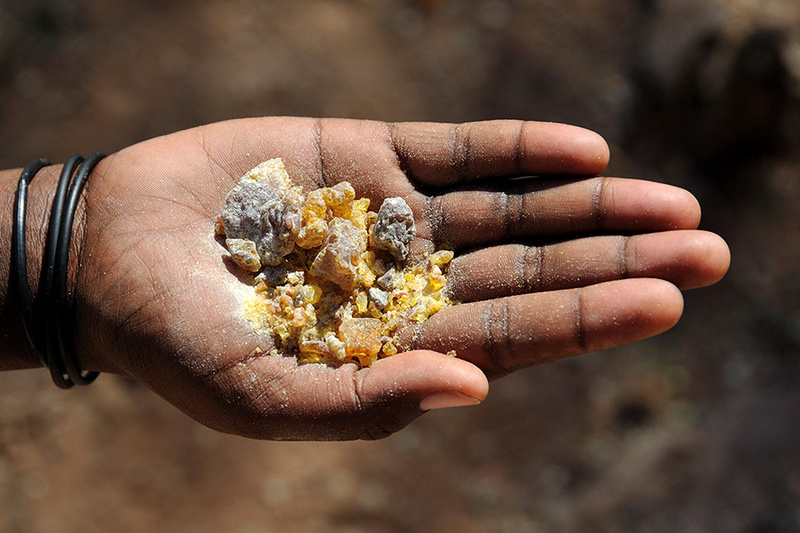 An essential oil is extracted from the resin to produce a very distinctive fragrance, found nowhere else in the world.